You are preparing for a move, but you do not want to drive your motorcycle across the country. Not only would driving mean traveling separate from your family, it would also mean more of a hassle with the possibility of traffic and inclement weather. Coast to coast is a long way to travel alone, so we understand if you are in search of another solution. Of course, you could always rent a truck and move the motorcycle, yourself, but this comes with many risks. The best choice would be to use an auto transport company that specializes in the transport of motorcycles. Why Should You Ship Your Motorcycle? You want the best for your bike. Therefore, you do not want to just strap it down on a truck and call it a day. You need to know that it will be properly cared for. A reputable motorcycle transport company will have the proper equipment to ship your motorcycle in the safest manner, possible. At National Dispatch, we treat all the vehicles in our care as if they were our own. Traveling across the country can take many days to complete. This could mean taking days off work. By using motorcycle shipping services, you save time. You can fly to your destination, and your motorcycle will get where it needs to be in a timely manner. A move is stressful enough, as is. Why should you also have to worry about how you are going to get your vehicle to your new home? By using auto transport, you will get peace of mind with a completely hassle-free process from start to finish. Handing your motorcycle over to a stranger can be a stressful experience. Follow these tips to make the process a bit easier on yourself and to ensure that no damage comes to your bike while in transport. 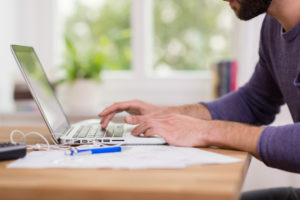 With thousands of companies pining for your business, it is important to do your homework to make sure that you choose the best one for the job. Not all companies are created equally. Read reviews from previous customers, and speak with a representative to get all your questions answered. You get what you pay for is true in the auto transport industry, as well. A cheap rate does not necessarily mean that you are getting a great deal. It could mean that you are giving up experienced staff and a higher level of service. It is best to avoid the risk. After all, you do not want to run the possibility of damages. 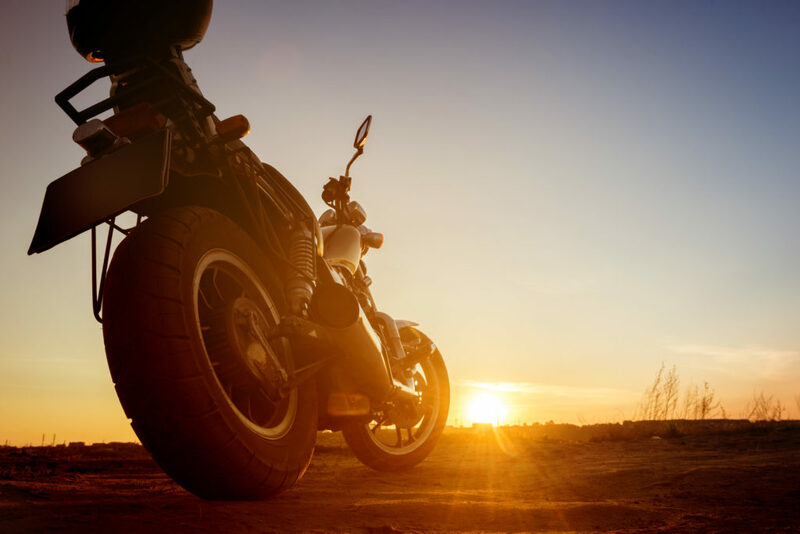 Ask the auto shipping company how you should prepare your motorcycle for shipping. Most companies will suggest keeping the fuel tank at one-quarter full and removing all personal items (if you have saddle bags or storage compartments). At National Dispatch, we understand that you have invested a lot of time and money into your cars, trucks, vans, and motorcycles. Therefore, we provide a safe, hassle-free solution to get your vehicle(s) across the country without the extra mileage or wear and tear. When you ship your car with us, our expert staff will provide the best customer service and keep you updated every step of the way. You will never have to worry about delivery. Your vehicle will arrive in a safe and timely manner. Request a free, instant car shipping quote using our online quote calculator. No personal information is required. If you prefer to speak with an auto transport representative, call us at 800-321-2051. Do You Need Insurance When Shipping A Car? When moving houses, attending a car show, or going on a vacation, sometimes driving is not an option, especially when pressed for time. Therefore, you must rely on an alternative method to get your car from Point A to Point B. This leaves auto transport as a reasonable solution. 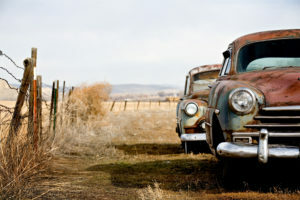 To most, a car is one of the most valuable pieces of property you own, second to a home. Although damage during auto transport is unlikely, there is still the small chance that something could go wrong between the departure location and the intended destination. This is one of the reasons why giving your car over to a stranger can be very stressful. Shipping insurance, which is offered through the auto transport company, can help provide peace of mind during this process. 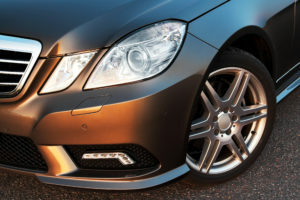 However, there are a few things that you should know to ensure that your car is protected against any potential issues. In general, insurance gives you security, whether you or someone else is responsible for your vehicle. 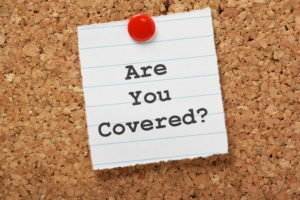 You can be rest assured that you are covered no matter what happens. Comprehensive auto insurance coverage protects your car against damages resulting from collisions, fires, and vandalism. It also provides protection against theft. 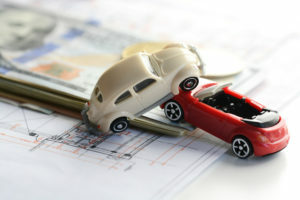 Nearly every state in the country has issued mandatory car insurance liability laws. If involved in an accident, not all people could afford to pay for the damages. Therefore, these laws provide added security to drivers. Similar to the typical car owner, auto shippers are required to have insurance, as well. The terms and the amount of the coverage depends on the particular auto transport company. Auto shipping companies are required, by law, to have insurance for the cars that they transport. Most companies have liability and cargo insurance. 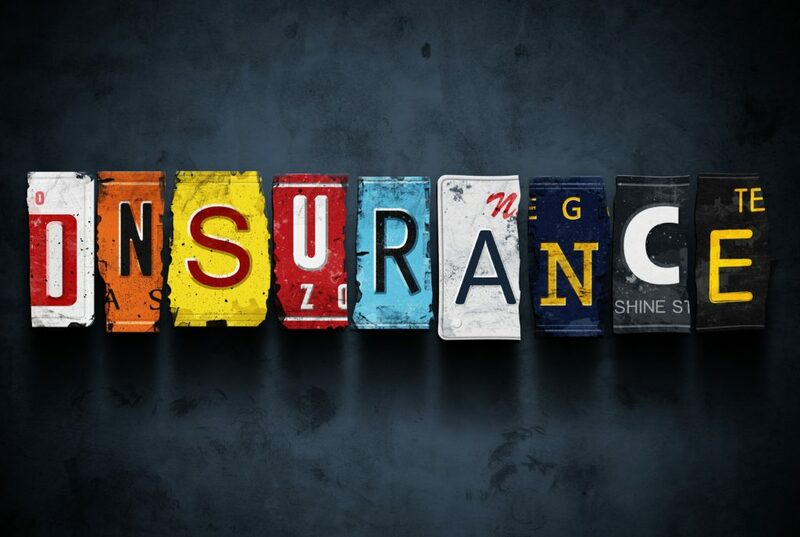 This means that the insurance should cover any damages that incurred during transit. It is important to note that the coverage offered only protects the cars, not anything inside. In other words, clean out your car, because personal possessions are not covered under the policy. You should review the insurance policy offered through the auto shipper. While all car shipping companies are required to have coverage, the amount varies by company. You may come to find that the coverage does not meet your expectations in covering the true value of your car. If a company does not offer the coverage you need, it may be time to move on, as your car’s safety is the number one priority. What type of damages are covered? Does the policy have any limitations? Are specialty items/add-ons (spoilers and such) included? Will I need to purchase additional coverage? 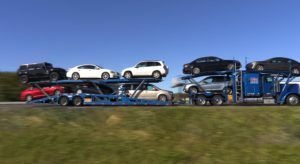 After choosing the best auto transport company to ship your car, there are a few things that you should do to ensure a smooth car shipping process, from start to finish. A reputable auto transport company should be more than happy to supply a customer with proof of insurance. In addition, they should be open to answer any questions about their policy. It should be considered a red flag if a company is hesitant to supply this information. When speaking with an auto transport representative, make sure that you understand the policy, fully. Find out what damage is and is not covered, such as that which might occur during loading, unloading, and transit. A good auto transporter will ensure that you are relaxed and comfortable with the process prior to shipping. In addition to checking with the car shipping company, you may want to contact your own auto insurance provider. Depending on the particular policy, your car may be covered during auto transport. It is important to check with your auto insurer to determine what damages are covered, such as those from weather, debris, and negligence. To further protect your car, you must make sure the vehicle is empty prior to transport. This is an important step in preparing a car for transport. Theft or damages as a result of personal items being left in the vehicle are the owner’s responsibility. These are not covered by the car shipper’s insurance policy. Thus, you should make sure to remove all belongings from the interior, including CDs and GPS devices. Upon the driver’s arrival, the original condition of the car will be documented. You must sign off on the findings of this report. This will be needed in case a claim needs to be filed. It is also a good idea to conduct your own inspection before the transporter takes possession of it. Take pictures of the vehicle from various angles, and record any cosmetic damages, such as dents, scratches, and chips. Although damages during transit do not occur often, it is nice to know how to file a claim in the case of an unforeseen circumstance. Detailed documentation is required when filing a claim. The condition of the vehicle prior to transport will be compared to the condition after transport. Another inspection, like the one performed before loading, will be completed upon delivery of the car. If you notice any damages, make sure you contact the auto shipping company immediately. The car shipping company will, then, proceed to fix the problem in a fast, efficient manner. If a complain needs to be filed against a company, this can be accomplished through the Better Business Bureau. National Dispatch is a nationwide auto transport company that is licensed, insured, and bonded. Our top priority is the safety of the vehicles we carry during the transport process. We understand that shipping a car can be overwhelming. This is why our experienced, trained professionals make it their goal to provide outstanding customer service, keeping you updated every step of the way. Getting started with National Dispatch is easy. Request a free, instant car transport rate using our online quote calculator. No personal information is required. If you prefer to speak with one of our agents, call us at 800-321-2051. Whether you are moving to or taking a vacation in a city across the country, there is always the question about if driving is the best option or not. 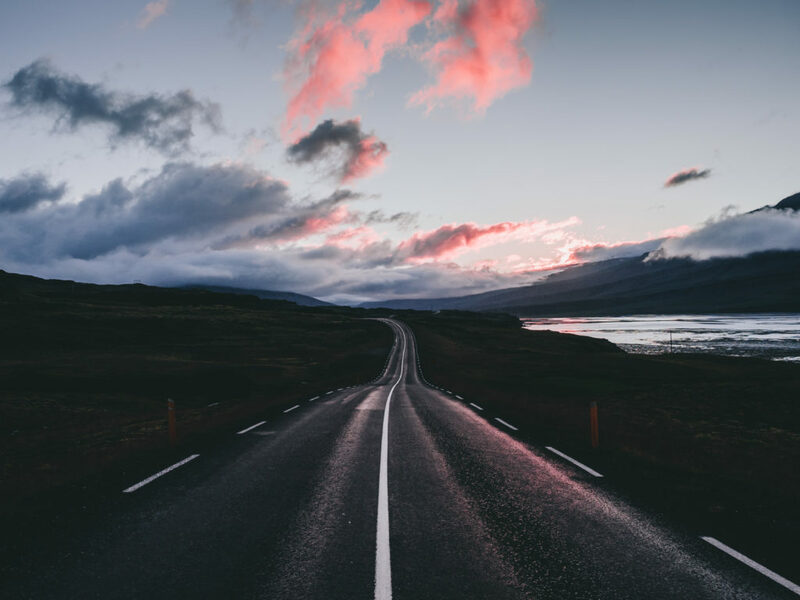 Driving is often seen as the less expensive alternative to flying, one which provides you with a chance to explore and sight-see on the way to your destination. But, how much is a cross-country road trip really? 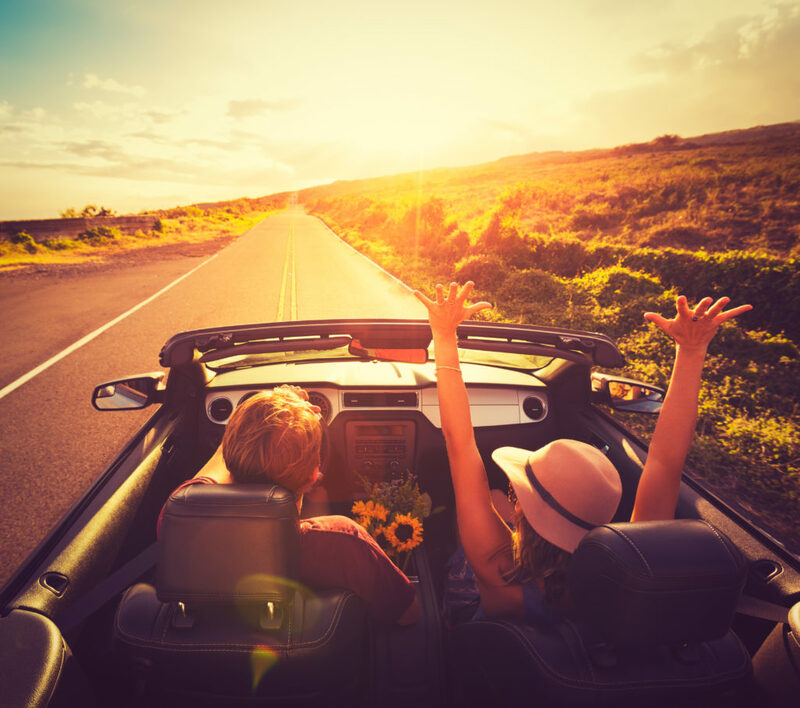 While a road trip may be more fun, some people do not like the idea of cramped spaces, road tolls, or vehicle wear and tear. When deciding how to travel, it is important to take into consideration all the factors. Each method, by air or road, has its advantages and disadvantages. Let’s take a look at how each compare in price, comfort, time, and unexpected problems. Driving gives you the freedom to go where you please, when you want. You do not have to stick to a specific schedule or itinerary. If you see something that catches your eye, you can stop and explore. However, this freedom comes at a price. This is not just a literal dollar amount, but road trips require a good amount of planning and preparation. Calculating the cost of road travel may involve more components than air travel, but in the end, your credit card will thank you. Mapping out how much you will spend will require knowing the current cost of gas, the trip’s distance, and your car’s gas mileage. A true cross-country road trip is from one coast to another, say New York to California. This trip is about 3,000 miles, or a total of forty-three hours, give or take. Let’s say this trip takes you about a week to complete, depending on how many hours you drive per day. No matter what kind of car you drive, you will need to stop for gas or to charge up. According to the Dollar Times Road Trip Calculator, you can expect to drop $250 on gas for a car that gets around 30 miles to the gallon. Gas mileage is dependent on your particular vehicle, current gas prices, and your driving habits. To save on gas money, you could download an app, such as Gas Buddy, to see where the cheapest places to fuel up are. This price will vary depending on if you are eating fast food everyday or going out to fine dining establishments. You may not want to go to Burger King every night, so splurging is not out of the question. If you are looking to save money during your road trip, you may pack a cooler full of snacks before going on your journey. This will greatly influence how much money you spend. Otherwise, you could look at spending around $200 or more for a 7-day trip. Like most other factors, this will rely on other variables. Are you riding alone or with another driver? If driving with another person, will you be rotating shifts? Although driving with another person may make your trip move along faster, you will still want to stop for lodging. If you are making a cross-country trip on your own, then resting becomes even more important. Drowsy driving is dangerous to yourself and to other drivers on the road. When you are drowsy, you have a slower reaction time and decreased awareness. If you become sleepy, pull over to take a break. Rest up. Getting to your destination faster is not worth the risk. Consider when you feel most sleepy, in the afternoon or the late hours of the night. Avoid driving during these times. The cost of lodging will depend on where you stay: hotel, motel, airbnb, or even campsite. The typical cost of a hotel is between $100 and $150 per night, depending on the location. However, you may be able to find cheaper options. Motels offer rates as low as $40 per night. Even if you own a luxury vehicle, sitting in the same spot, for hours, does not provide for the most comfortable travel experience. Traveling in a confined space is not easy. It can become less comfortable, or rather stressful, especially when you are traveling as a family. Young children need to be entertained with toys, books, and games. Otherwise, they can get fussy, and then everyone in the car will become frustrated, as well. When driving with another passenger, you might want to switch drivers periodically and make frequent stops just to stretch your legs. It will make the trip much more bearable. Traveling by car is not known for being the fastest method. As we have already mentioned, a cross-country road trip can take a week or more to complete. This depends on how many stops you make along the way. It is important to take into consideration how much time you will need to take off work. Will this trip eat away at your vacation days? Is it worth it? It is also important to note how much planning it will take to map out a cross-country road trip. You must plan out the path you will take and set a budget. It is fair to say that life does not always go as planned. This means that road trips may not go as expected. The weather might not be as sunny as you would like it to be. This can make driving difficult or even impossible, if there were extreme weather conditions. What happens if your car gets a flat or needs some other repair? You will need to leave some wiggle room in your budget in case you need to stay a few extra days in a location or take your car to a local auto mechanic. While road travel does offer a beautiful view, sometimes you might be staring out at nothing but trees for miles and miles. There is nothing quite like the view from 35,000 feet in the air. However, the long lines and early arrival time can be quite the headache for some. Like driving, calculating the cost of flying by plane involves several components, which are greatly influenced by how many people are traveling along. Not only must you purchase a ticket, you must consider what happens if the flight is delayed. Also, you must think about your transportation options. More travelers means more money, because you will need to buy an extra ticket. Unfortunately, if you bought a ticket on Monday, you might look and see that it is not the same price on Friday. This is due to fluctuation. Ticket prices vary depending on the ordering time, popularity of the destination, and how close the plane is to full capacity. You can expect to pay around $300 or more for a cross-country ticket. To get a cheaper airline ticket, there are several tips you can try. Find the cheapest day to fly (said to be Wednesday). Get alerts when prices drop. As we all know, traveling can be stressful even when everything goes as planned. What if your flight gets delayed or cancelled? When your flight is cancelled, the airline will usually rebook you on the next available flight. What if this flight isn’t until the next day? If the cancellation is due to severe weather, you will have to find lodging and pay for it on your own dime. However, most airlines are more than happy to help you find a nearby hotel. No matter where you go, you will likely need a way to get around. Rental cars are available, but they can come at a steep price. Additional fees may apply when there is an extra driver, when you are renting from the airport, when there is a different return location, or if you are a young driver (under 25). Comfort and convenience go hand and hand. Instead of you having to load your luggage, the airline takes over the responsibility. This allows you to sit back and relax. Also, you do not have to worry about traffic, which is a big positive. Most of the time, the seating on airplanes is not the most comfortable. You do not want the broken seat or the seat near the bathroom. You want a seat that offers an adequate amount of leg room, but airplanes can fall short on meeting our expectations. Where air travel reigns over road travel is in its freedom to move about. You can stretch your legs or go to the bathroom without slowing down your entire trip. 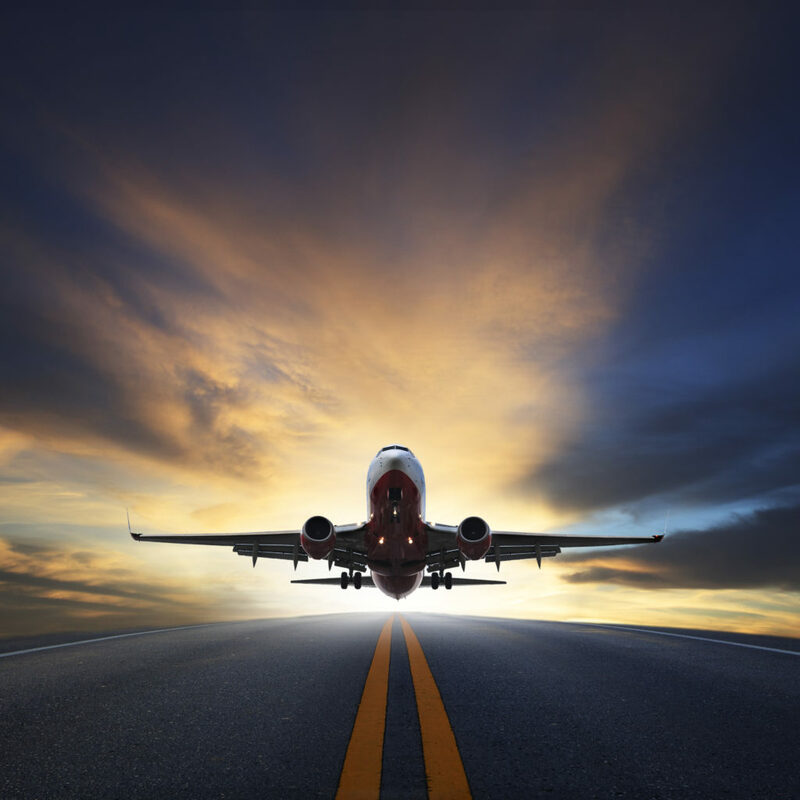 Flying greatly decreases your travel time, allowing you to get to your destination much faster than by car. The farther you have to travel, the more time you will save. Instead of traveling for 7 days by car, you could be at your destination in 6 hours by plane. This is of great importance if you are taking days off work to travel or if you are moving to a new city for a new position. You might want to get back to work right away. Consider how much your time is worth. We have already touched on one major problem with airlines. That is delays. As with traveling by car, the weather can impact a trip and cause delays. Another issue is with lost luggage. This can turn your happy vacation into a nightmare. Make sure you fill out a written claim and receive a reference number before leaving the airport. Do you want the best of both worlds? Do you want to be able to drive your own car while on vacation, but avoid the hassle of long road trips or rental car fees? By using a car shipping company, you can fly to your destination and have your car transported anywhere in the country. Car shipping is a safe, fast, and easy solution for those seeking convenience and peace of mind. A reputable car shipping company comes in handy for more than just vacations and residential moves. These services are also useful for corporate relocations, out-of-state purchases, auto shows, and more. Pricing varies depending on the particular services that you need and how far the driver must travel. There are important factors to take into consideration. Are you shipping via an enclosed carrier or open carrier? Does the car run? Is the destination located across the country? The best way to determine the cost of a car transport rate is to use an online quote calculator. National Dispatch offers a free, instant, and easy-to-use quote form that requires no personal information. You can request these services from the comfort of your own couch with a quick call or click of a button. With door-to-door auto transport services, the driver will come directly to your home or as close as possible for pickup. Then, hop on a plane, and your car will be delivered, safely and quickly. It is that easy. How long does it take to ship a car? Auto transporters are governed by regulations. Therefore, they are only permitted to travel a certain distance per day. This is to ensure a safe delivery. The delivery time also depends on which shipping method you choose. You can expect your car to arrive in a timely manner, but it is important to order in advance. Auto transport can have many of the same unexpected problems as with other transportation options, such as weather delays. However, a professional company does everything possible to ensure that your vehicle arrives on time, while keeping safety a top priority. At the end of the day, the decision is yours. Each person has unique needs and a different situation. Maybe, you are retiree moving to Florida or a recent graduate moving to a large city for greater job prospects. Whatever the case, consider how you are going to get there. How will your car get there? If you are in need of car transport services, contact National Dispatch. We are a leading provider of nationwide car shipping services. Request a free quote in seconds or call us at 800-321-2051. A car is a big purchase, one which requires a great deal of time and research. In today’s technology-driven world, you do not even have to step foot onto a car lot, if you do not want to. However, there are many people that still prefer the traditional car buying experience over a virtual one. The shopping option you choose depends mainly upon personal preference. Therefore, we have outlined each shopping experience to help you make an informed decision. After all, car buying is meant to be both fun and stress-free. Negotiating is not necessary. The internet takes some of the pressure off and allows you access to thousands of websites, where you can conduct a price comparison search. No bargaining with a salesperson is required. You do not have to move off your couch. Online car buying allows you to purchase a car from the comfort of your own living room. After selecting the vehicle of your dreams, you can have a car shipping company ship it directly to your home. How convenient! This method may offer you a more pleasant experience. Salespeople are categorized as being pushy and aggressive. Some people would prefer to bypass dealing with a car salesman, altogether. This may sound like the perfect car buying experience. However, online car shopping is not for everyone. In some cases, purchasing a car over the internet can make the car buying process more of a challenge. This is primarily the case when it comes to purchasing a car from another state. Getting the title and registration may require a few extra steps. In addition, when a car is too far away to drive to, you may have to skip a test-drive. Are you okay not driving the car before buying it? These are important factors to take into consideration. When it comes to buying a car online, you have two options. You can either purchase directly from a dealership or use an online car marketplace. Many dealerships have an Internet Sales Department. You can email the dealership for a quote on the car you are interested in. Some websites also offer a live chat option. 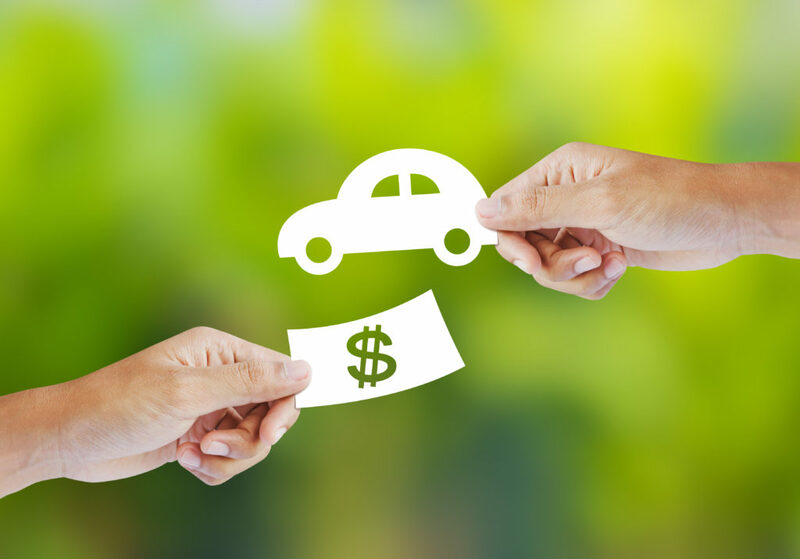 Make sure you ask the dealership to list out all the fees associated with purchasing the car. After obtaining this information, you can go to other dealerships to compare pricing. Autobytel gives you access to a large inventory of both new and used cars. Not only does this website provide you with prices and reviews, it is also informative with its Top 10 lists. Autotrader allows you to narrow down exactly what you are looking for. You can filter your car search by price, style, condition, year, mileage, and more. eBay has a large selection of new and used cars, trucks, vans, SUVs, motorcycles, and more. You can use their easy-to-use search form to find a car anywhere in the nation. Edmunds is a reliable online resource for researching new and used cars. Not only can you view and compare vehicles, but you can access advice and reviews that might be helpful in your search. If you are in the market for a classic or muscle car, then Hemmings is the perfect place to start your search. With so many to choose from, it will be hard to find another online classic car selection that beats it. Face to face communication is better. While email and phone conversations work for some people, others prefer a conversation in person. This allows you to get the salesperson’s expert opinion on a wide variety of makes and models. It allows you to determine what you want through a test-drive. Test-driving is an important part of the decision-making process. However, sometimes, this is not possible due to distance. Purchasing a car out-of-state can make test-driving a challenge, or nearly impossible. It is unfair to group all salespeople into one category. Not all salespeople are aggressive in their business tactics. Many are also knowledgeable and helpful. Keep an open-mind about how your car buying experience might be. The traditional car buying method, at a dealership, may seem to offer an unmatched level of customer service. However, this method makes it difficult to compare, even if you are jumping around to different dealers. This can make it hard to see what the best deal is, ultimately making the decision-making process more complicated. Let’s get right down to it and discuss which option best suits your needs. What it comes down to is which option will give you the best experience. For some, buying a car at a dealership is too much pressure. They would prefer having the leisure of making a decision from their living room sofa, because they can walk away from a deal more easily. On the other hand, some prefer to physically go to a dealership to get the “old-fashioned” experience. This way they can walk around and see what catches their eye. The truth is that purchasing a car is not a decision that you should make hastily. Each method has its pros and cons. Take your time, and use all the resources available to you to get your dream car. It does not matter whether you are purchasing a car on the lot or over the web. There are certain steps that every buyer must go through. Here is what your car buying process might look like. Find the car you want. Choosing the right car for you is step one. Determine what makes and models you are interested in, along with what features are necessary. Keep in mind your lifestyle, as this will help you determine what other factors, such as fuel economy, size, and budget, are important. Once you have narrowed down your list to a few options, it is time to decide on a budget. What can you afford? There are many resources, such as online payment calculators, to help you determine what monthly payment won’t drain the bank. When performing these calculations, it is also important to know what your current car is worth (if you want to trade it in). Kelley Blue Book is a recommended website to get an idea of what the dealer might offer. 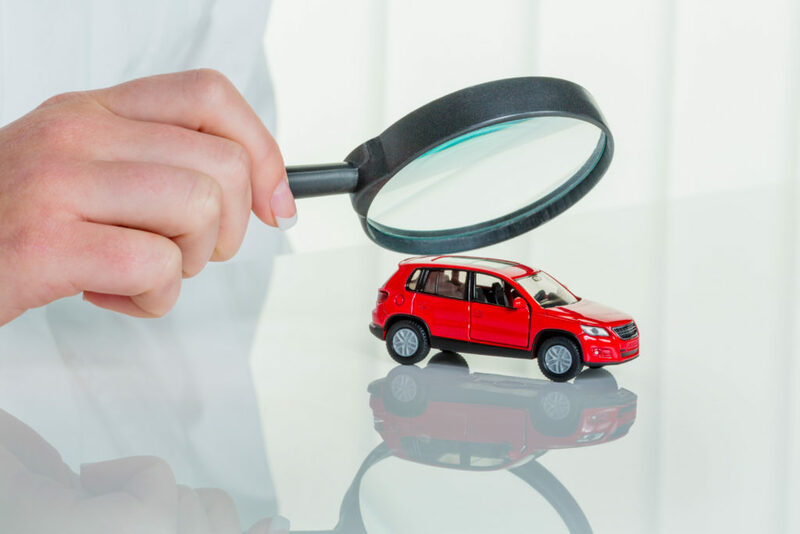 You also might want to consider securing financing before going through the car buying process. Next, it is time to see what vehicles are available to you. If you are going with the traditional method, you can go to the car dealership and speak with a salesperson. 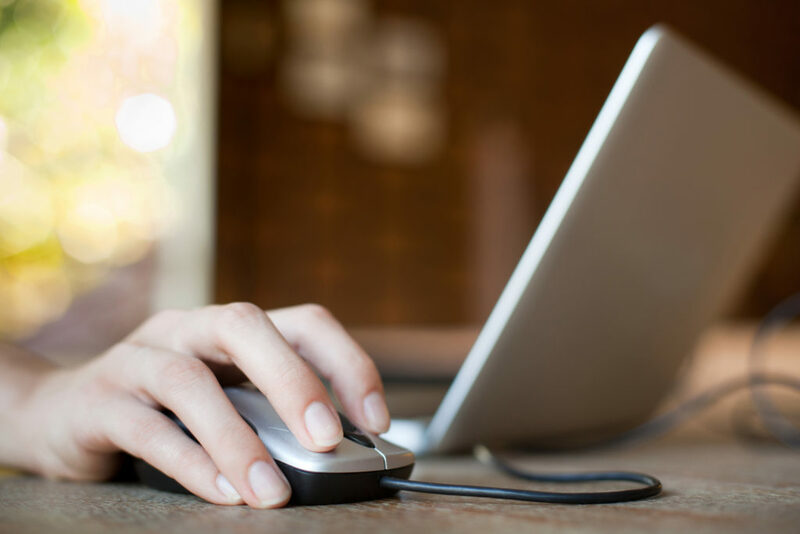 Online research allows you to conduct a search for the make and model you want. Search availability at your local dealerships or nationwide. You will want to receive information on pricing, whether you are conducting an online search or visiting a dealership, firsthand. Fill out a contact form, email the Internet Sales Department, or chat with someone online. When on the lot, you can look at the price sticker on the window or work with a sales representative. If the price does not fall within your budget, you can negotiate a price. Make sure that you come up with a price that is fair to the market value of the vehicle. A test-drive goes a long way in deciding on a vehicle. If you already have experience with a particular make and model, sometimes it may not be necessary. After you have driven the car around the block, it is time to sign all the necessary paperwork. If you have completed everything online, then you may be required to come to the dealership. Other arrangements can be made if dealing with a dealership out-of-state. The process of buying a car does not have to be scary, complicated, or high-pressure. 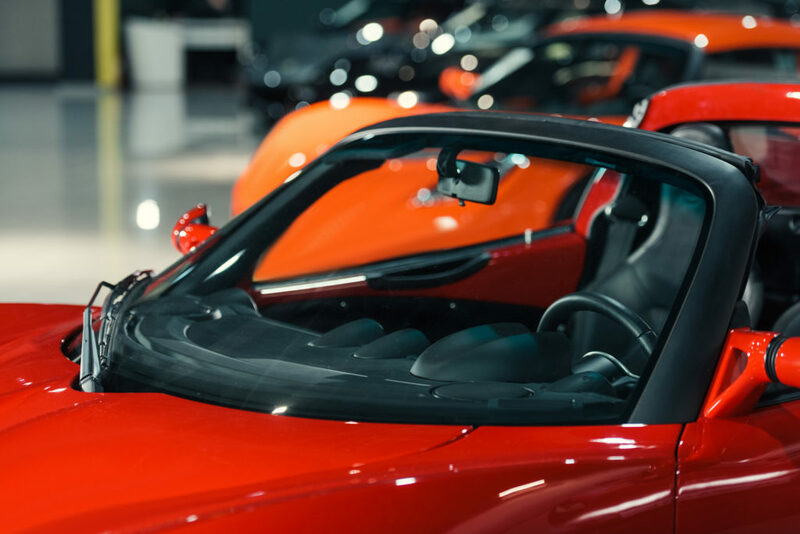 While many are choosing to switch over to a newer method of car buying, some still prefer the traditional car buying experience. Whichever shopping experience you choose, the end result is the same – driving around town in your dream car. Many people have realized that physically going to a dealership is not your only option to buying a car. You can also purchase a vehicle online. Each option has their own advantages and disadvantages. When making an online purchase, you will need to consider how to get the car home. Although you can fly or drive to pick up your car, shipping a car has its benefits. Here is what you can expect when you ship your car with a professional auto transport company. Less stress. 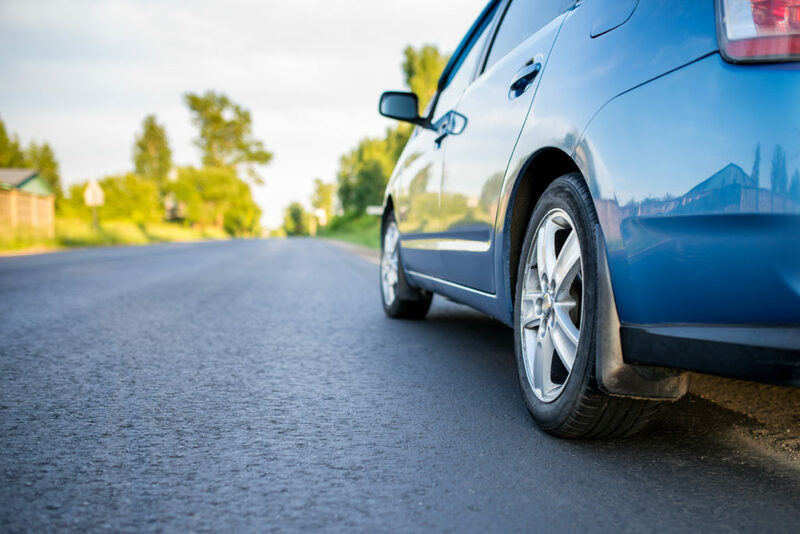 If the dealership is not local, you may be required to drive hours outside of state lines to pick up the vehicle. While road trips can be fun, they are also stressful. You will have to arrange with a friend, neighbor, or family member to travel with you. It may be easier to have the car shipped to your home. No wasted time. There is no need to take time off of work or use up precious vacation days to travel to pick up your new car. Car shipping services are a time-saver. Convenient delivery. With door-to-door delivery, you can get your car shipped directly to your home. With online booking and free car shipping quotes, the process is made even more simple. To ensure that your car shipping experience is a success, it is important to understand a little bit about the auto transport industry. This will provide security for your new purchase, give you peace of mind, and help prevent delays to guarantee a fast delivery. 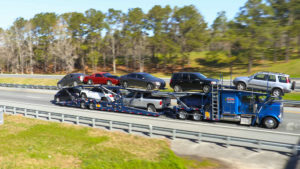 When it comes to determining a car transport rate, there are numerous factors that are involved. It is important to take into consideration certain aspects of the move, as well as the particulars of your car. Here are some of the variables that go into calculating a car shipping quote. Location. How far and where the driver must travel to means everything. Pricing will also vary depending on where the pickup and drop-off locations are in reference to major highways. Size. Another factor that is important in determining the price of shipping is how big the vehicle is. The price of shipping between a compact car and SUV will differ due to weight. Season. The time of year can affect your rate because of demand, amount of traffic, and more. Do your research to determine when the best time to ship will be. Carrier Type. The type of carrier you choose will depend on the type of car you own and personal preference. Open carrier and enclosed carrier shipping options are available. Shipping Option. How soon you need your vehicle is also important. This will ultimately decide if you need guaranteed shipping or not. National Dispatch is a leading provider of car shipping services anywhere in the United States. Making an online car purchase is just one situation in which you might need car shipping. We also transport cars in the cases of residential moves, corporate relocations, vacations, and more. If you need car shipping services, request a free, instant car shipping quote. No personal information is required to get a quote in seconds. If you would prefer to speak with an auto transport representative, call us at 800-321-2051 or chat with us online. If you have never shipped your car to another part of the country before, it can seem like a demanding process. In reality, shipping a car is quite easy. Those who have used auto transport services before likely enjoy how stress-free, timely, and convenient it truly is. However, like any industry, there are misconceptions, or myths, floating around out there. This may have made you think differently about car shipping. We are here to set things straight about the car shipping process, specifically car transport rates as pricing is a major concern for many. Here are 10 common misconceptions about car shipping. Many of these myths involve car transport rates and prices. Those that stray from the subject are meant to advise you how to make the best decision when it comes to selecting a car shipping company. 1. Go for the lowest price. FALSE. Cheap does not always mean better. Some people may ask, “Why would you pay for a service that you could get at a lower price?”. The problem with this way of thinking is that the experience you have often correlates to the price you pay. You might end up paying a low rate to get your car shipped to its destination, but you are taking many risks doing so. Transporting your car with a company that offers cheap quotes is a red flag. You can not predict what condition your car might arrive in. At the same time, you should not overpay for car shipping services. If a company is priced way above industry standards, it will be a waste of your money. There is a happy medium that you must find. 2. Working with a carrier is the only way to go. FALSE. In the auto transport industry, there are transport carriers, and then there are brokers. There are also companies that handle both areas of business, but we won’t make your head spin. Many tend to think of brokers as the middleman. This can be one reason why people stray away from brokers. However, each company should be measured by the quality of services that they provide. Finding someone that you can trust with your car can be a difficult task. Therefore, you must ask questions to find out if the company is someone that you want to do business with. 3. A quote is based only on distance. FALSE. Although distance is a primary factor, it is not the only factor that affects your car shipping quote. Other factors are of equal importance, as well. Some factors that will have an impact on your quote include: size of the car, pick-up/delivery times, carrier option, and season. Vehicle Size: This component will be measured based on your vehicle make and model. A compact car will be less expensive to ship than a larger SUV because of the differences in size and weight. Pick-up/Delivery: The cost of shipping a car from one location to another will rely on which shipping option you choose. If you require a guaranteed delivery date, then your car transport rate will be higher. Carrier Option: The standard method of shipping is via an open auto transport carrier. However, you can upgrade to an enclosed carrier for an added fee. Season: The summer is the busiest season for most auto transport carriers, because it happens to be when many people decide to move. Car shipping rates may fluctuate with the changing of the seasons due to supply and demand. 4. Removing tires and doors means a lower price. FALSE. It may seem strange to even mention, but it is something that we need to address. Some people may have questions. Will you get a lower car shipping quote if you remove extra items, such as hubcaps, spare tires, or doors? The answer is no. The weight of your car is important when transporting your vehicle, and therefore, when calculating a car transport rate. However, it will do no good to remove these “standard” items, as they are already calculated into your quote. It is important to remove all personal belongings from your vehicle before transport. This is for safety and insurance purposes. Failing to do so could lead to added fees or unwanted delays. 5. Open carriers are not safe. FALSE. Although enclosed carriers are recommended for classic and luxury vehicles, open carriers are suited for most all vehicles. It is true that enclosed carriers provide more protection, but this is because of their design. They are built to protect the cars they carry from a wide range of weather and road elements. Just because enclosed carriers provide a higher level of protection, this does not deem open carriers unsafe. Open carriers are the most popular method of shipping a vehicle from one location to the next. Therefore, safety is of the utmost importance. You can be rest assured, whichever option you choose, your car will be safe. Learn more by reading Understanding Your Options: Open Vs. Enclosed. 6. You can only ship cars that run. FALSE. Maybe, you are currently working to fix up a car or need to ship a car to a mechanic you know out of state. If you have an inoperable car, there are options available to you. Some companies may not offer this auto shipping service because of the equipment and manpower that is required. When it comes to National Dispatch, we ship a wide range of cars. It does not matter if the car is operable or inoperable. You may be wondering how inoperable car shipping compares in pricing. It is slightly more expensive due to the equipment needed for a successful and safe transport. 7. Door-to-door delivery is expensive. FALSE. When it comes to getting your car delivered, you have two main options. You can choose to go with terminal-to-terminal auto transport service or door-to-door auto transport service. With terminal-to-terminal car transport service, your car will be shipped to a pickup center near your home or business. On the contrary, door-to-door service involves delivery directly, or as close as possible, to your home. Most people would prefer door-to-door car transport service, because it is more convenient and saves on mileage. However, some think that it is costly. The best way to measure how expensive a quote will be is to get a car shipping quote directly from the auto transport company. 8. It is difficult to get a quote. FALSE. When it comes to National Dispatch, this just isn’t true. We make it very easy for potential customers to get a car shipping quote for several reasons. One reason is because consumers are looking for a company to make their life easier, not harder. They do not want to have to jump through hoops to get a car transport rate. Second, we have nothing to hide. We stand behind our high-quality services and affordable prices. Why shouldn’t it be easy for people, like you, to get a quote in seconds? Unlike many of our competitors, we do not require any personal information, so you do not have to worry about any pesky phone calls or emails. It is a 100% hassle-free car transport rate. 9. A quote is a guarantee. FALSE. It is important to point out that the rate that you get on the website is not a guarantee of the price you will pay. Why not? Say you got a quote last March, now it is approaching January and you decide to call up the company for auto transport services. It is possible that rates may have not changed between now and then (almost a year). However, it is also possible that rates may vary. It is best to request a quote. If you are happy with the price, contact the company to find out more and book auto transport services, soon thereafter. Before signing any contracts, make sure you understand your payment obligations. Are there deposits? Are there hidden fees? Make sure there are no surprises for the best experience, possible. 10. All car shipping companies are the same. FALSE. Just because all car shipping companies essentially do the same thing (get your car from one part of the country to the other), it does not mean that there is no difference between them. Like in all industries, companies vary. You will find thousands of auto transport companies. However, you are tasked with the job of finding one that will not disappoint. At National Dispatch, we ensure that your car will reach its destination in a safe manner. We believe in treating your car as if it were own. This means with the utmost care and attention. You never have to worry about anything. This makes car shipping a truly stress-free experience. With today’s technology, it has become even more easier to find what you are looking for online and in just a matter of seconds. Instead of emailing or calling a company, you can get what you need at the click of a button. If you want to know how much it will cost you to fly round-trip from New York to Florida, you can find that information online. This is true of the auto transport industry, as well. You can find information on the company’s website regarding what services are offered. To stay in tune with today’s technology, most auto transport companies have car shipping calculators. This is a form that requires some information from you in order to receive a car transport rate. While all car shipping calculators may appear to be the same, like companies, they can be quite different. How is National Dispatch different from other leading providers in the industry? For one, our quotes are completely instant. There is absolutely no waiting around for your results. Second, our car shipping quotes require no personal information. That’s right! No phone number. No email. Don’t worry. It’s hassle-free. When you are ready to book services, we are ready to assist you. Let’s walk you through the steps of how you get a quote from our website. On any page of our website, you will find the ‘Get An Instant Auto Shipping Quote‘ box. You will see that 4 fields of information is required to proceed to the next page. Once you have filled out that information and pressed ‘Show Results’, you will be instantly redirected to see your free car shipping quote. As you can see, some options are preset for you (Running Vehicle, Open Trailer, and Standard Shipping). These can be changed without switching screens. Another way that you can get an instant car transport rate is to call the number listed on the company’s website. This will connect you with an auto transport representative. This is also a excellent option if you have additional questions about the car shipping process. Call to speak with one of our agents today at 800-321-2051. We also have a chat feature on our website as an alternative form of communication. Most of the time you can find detailed information about auto transport services on the company’s website. If you cannot find what you are looking for, you can send an email. Keep in mind that email is a slower form of communication, especially if you are contacting outside of regular business hours. If you are looking to get a quote immediately, then you will want to use the online quote form. 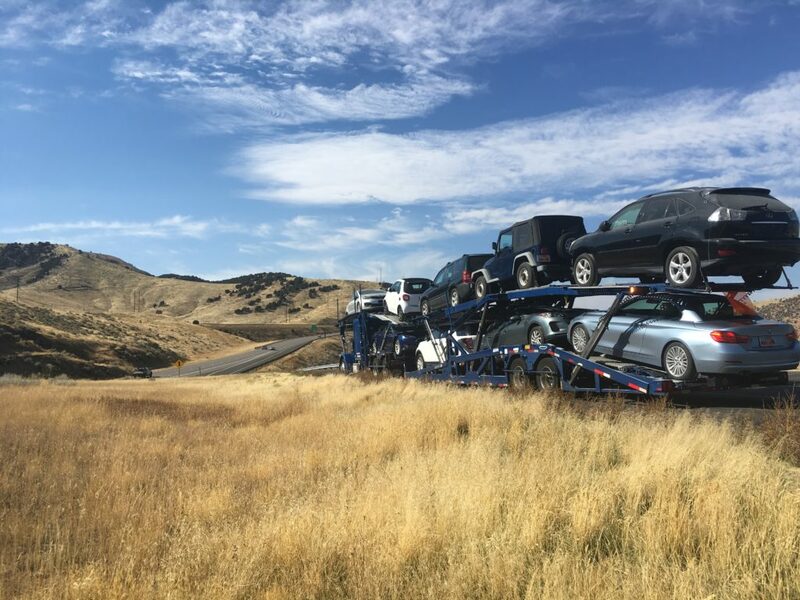 At National Dispatch, we are committed to providing our customers with a wide array of auto transport services to choose from, setting affordability and high quality as our standards. We understand that we are shipping more than just cars. We are shipping for YOU! This is why we have designed services that are both convenient and user-friendly. You will select the services that best fit your needs and budget. You can count on us for the best auto shipping experience possible. Simply fill out the quote form at the top of the page for your free, instant quote or call us at 800-321-2051.